During the year, we have a number of items available for you to purchase. 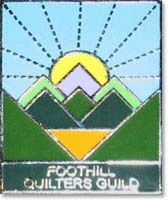 Charms and pins with our guild logo are fun to attach to a chatelaine, name tag or a charm bracelet. Each year we design a new charm and pin to represent our Opportunity Quilt. Our 2019 charm is available for purchase. We still have some available from previous years, also. 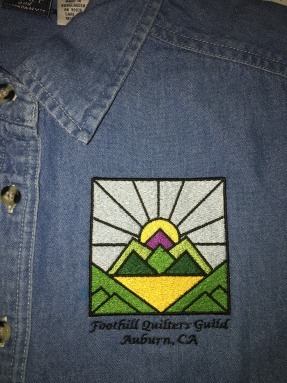 We have long-sleeved denim shirts available with the guild logo in a washed denim or a dark blue in sizes XS-3XL. The cost is $27 each.